For almost fifteen hundred years after the resurrection of Jesus, Britain had no complete Bible in the common language. The story of how the Bible in English became a reality and at what human cost, is both exciting and tragic. But how old are the earliest manuscripts of our Old and New Testaments, and how confident can we be that they have been copied accurately? Selecting a Bible translation is important—but how do we choose? Between 1401 and 1409 the Roman Catholic church in England took vigorous steps to ensure that it could hand over to the state for public burning those convicted of heresy — and translating or reading a Bible in English was heresy. Archbishop Thomas Arundel’s Constitutions against the Lollards of 1408 forbade anyone to own even a single text from the English Bible without a bishop’s license. The penalty for disobedience was often death. On 4 April 1519, a woman and six men were burnt in Coventry for teaching their children the Lord’s Prayer, the Ten Commandments, and the Apostles’ Creed in English. The fourth book in this series, begins by tracing the story of how a few attempts had been made to translate parts of the Bible into the English language until John Wycliffe and his team, late in the fourteenth century, translated the whole Bible from the Latin Vulgate. This was therefore a translation from a translation and, since the printing press has not yet reached Europe, every book had to be copied out by hand. Nevertheless, the Lollards, as these early evangelicals were known, bravely carried Wycliffe’s Bibles with them as they preached across the land; many died for their courage, but the fire of the Reformation had been lit. In 1526 William Tyndale presented the world with its first New Testament printed in English and translated from the original Greek. The Reformation in England now had God’s written authority for its gospel of justification by faith alone — and in a language that even the ploughboy could understand. Ten years later, after vigorous persecution and the sacrifice of many translators, printers, distributors and readers of the Bible, Henry VIII ordered every church to display a copy of the complete Bible in English. This was only the beginning of the story of our English Bible. 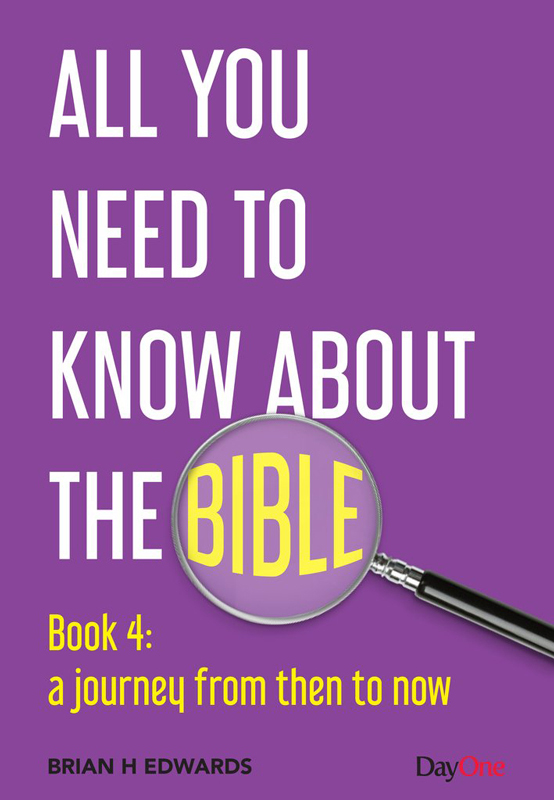 Book four surveys some of the most significant translations up to, and including, the King James Authorized Version in 1611. Turning the clock back, chapters two and three pause to ask, how old are the earliest Hebrew and Greek copies of our Old and New Testaments? What are the various manuscripts of the Hebrew and Greek available today for constructing the biblical text? And how much do we know about those who made copies of the Bible? 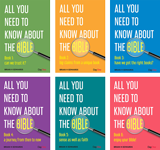 Unlike almost all other surviving texts of ancient literature, the Bible has a rich and valuable storehouse of copies that contribute to establishing an accurate text for translation. The amount of material available will be a surprise and encouragement to many readers. Even more so, the overwhelming agreement between one manuscript and another, and the evidence that most of the New Testament was circulating before the end of the first century. However, most Bible readers are aware that in some parts of the Bible there is differing evidence between one ancient manuscript and another. The footnotes in most additions of our Bibles draw attention to this. It is rare in the Old Testament but more frequent in the New. However, as one New Testament scholar expressed it: ‘not one thousandth part’ is affected in this way. But even though no Christian doctrine or matter of great significance is affected, these differences are important. In chapter 4, ‘Discovering the best text’, some of these issues are explained and illustrated. The subject of what is known as ‘textual criticism’ is a skilled and detailed discipline. However, no one needs to be intimidated by it. Some examples of longer passages and occasional words that are affected in this way are discussed. The integrity of the Bible is enhanced, not diminished, by the vast amount of material available and the overwhelming area of complete agreement where not a single manuscript is out of line. 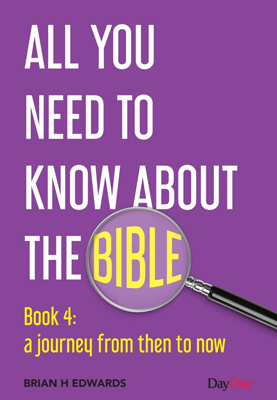 The final chapter in Book 4 takes up the story of Bible translations from the King James Authorized Version onwards. The plethora of Bible translations and paraphrases today is bewildering for many Christians. We need to make a careful distinction between translations and paraphrases, and also the various types of translation available to us: ‘dynamic equivalence’, ‘formal equivalence’, or something in between. Today, the reader can choose almost anything from as literal a translation as possible, a translation that majors on gender neutrality, one that is a very loose paraphrase, to a trendy and racy presentation that is ultramodern. Some of these are compared and contrasted so that the reader can, hopefully, make an informed judgement. The chapter treads where even angels fear!